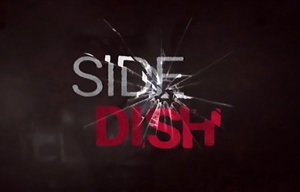 Side Dish is a South African miniseries created by Mandla N. which revolves around a group of women who go on holiday and accidentally murder a Ben 10. It was the second in a miniseries strand which aired on SABC1 in 2018, entitled "Woza Nazo", after Emoyeni. How long can you keep a secret? When a group of four married friends go on holiday, one of the women invites her Ben 10 over. But things take a turn for the worse when the Ben 10 sleeps with one of the friends. An argument ensues and Ben 10 is accidently killed. Faced with the dilemma of whether to report the death or not, the ladies decide to bury Ben 10 as they see it as their only way to keep themselves out of prison and save their marriages. The cast includes Refilwe Madumo as Amanda, Jo-anne Reyneke as Sli, Matshepo Maleme as Joyce, Thuso Mbedu as Phiwe, Ntando Mncube as Apollo and Zali Nxabi as Sergeant Litha. Side Dish was created by Mandla N. and is produced by Black Brain Pictures, with executive producer Annelie van Rooyen and producer Mamohau Kekana. Mandla N. and Que Ntuli are directors. The head writers are Tshenolo Mabale and Mandla N, with co-writers Zack Sekhu and Dominique Masson. The music and soundtrack is by Mandla N., Kurt Slabbert, F.R.Y.A. and Athi Petela, with vocals by F.R.Y.A. The track "Mbongo Zaka", by Rouge, is also featured. Our lovely snakes felt the noose tighten on Sunday as the series builds up to the finale next week.